Who does this footprint belong to? What is this worm up to? Even if we live in the city, nature is still all around us: clouds and stars, trees and flowers, rocks and beaches, birds, reptiles or mammals. What are we waiting for? Let's jump off the couch and begin exploring! Created in collaboration with a team of Portuguese experts, this book, which won the coveted Bologna Regazzi award, aims to arouse your curiosity about fauna, flora and other aspects of the natural world. 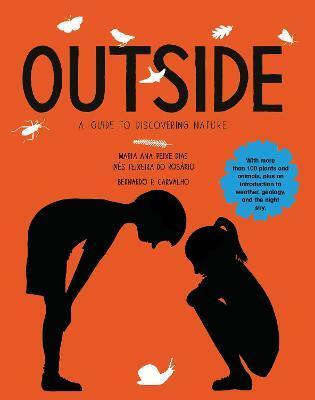 It includes suggestions for activities and many illustrations to help the whole family get started, leave the house, and go out to discover - or simply admire - the amazing world that exists outdoors.